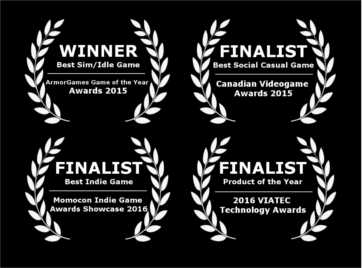 Tags: Hermit, Premature, Party, Event. Suggesting the Washed-up Hermit likes a tipple, is like saying there was a small snafu for Best Picture at the Oscars this year. It's a massive understatement. 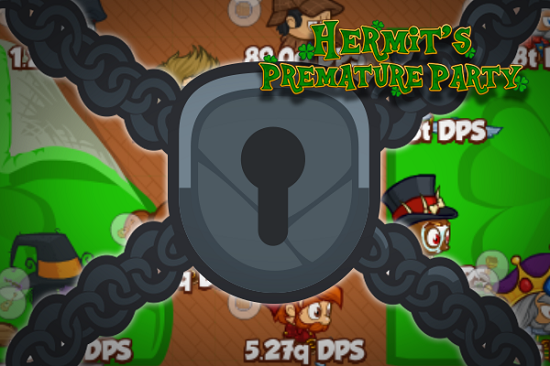 Hermit can't wait until St. Patrick's Day, so he's celebrating early again this year. 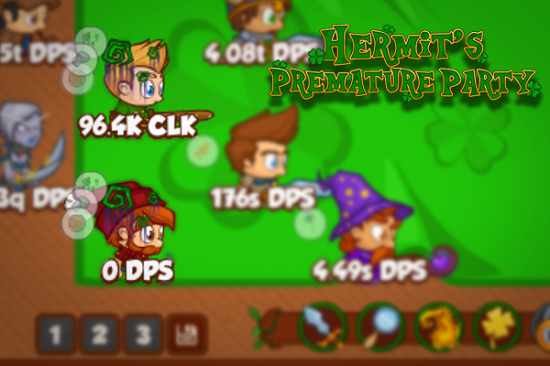 Hermit's Premature Party event runs from today through to March 14th at Noon PST. 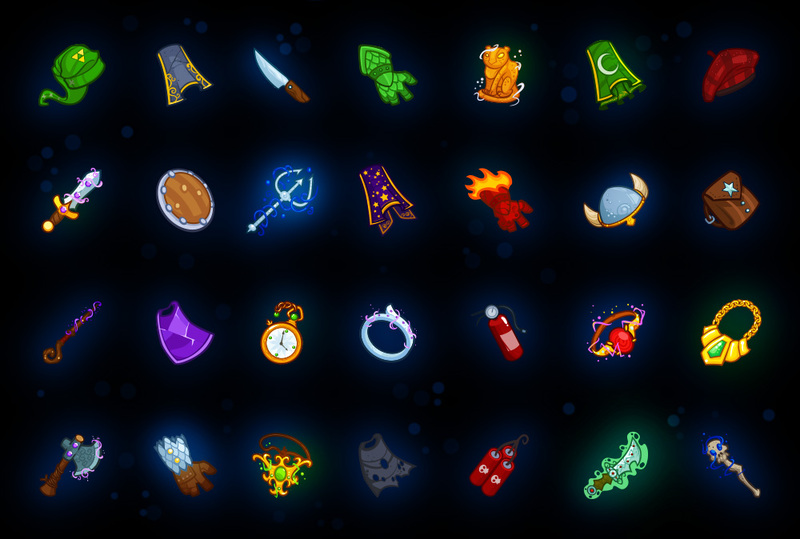 For those players who haven't unlocked them already, this is your chance to add both Larry and Kyle to your roster. Of course, as this is a 2017 update of the original event you can also collect two new Crusaders: Snickette the Sneaky and Squiggles the Clown. New Tier Two Crusader: Snickette the Sneaky. The first of the two new Tier 2 Crusaders is Snickette the Sneaky. The sneaky leprechaun shares the same seat as Sarah the Collector. At level 100, her ability Favorite Prey increases the DPS of human Crusaders in the party by +50%. 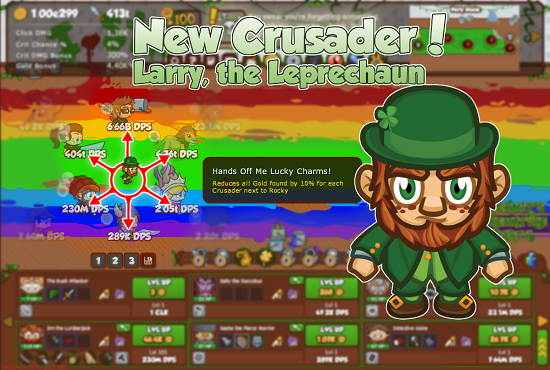 At level 400, Snickette unlocks The Blame Game which increases the DPS of all Crusaders by +50% if there is more than one leprechaun in the formation. New Tier Two Crusader: Squiggles the Clown. Squiggles the Clown is the stuff of nightmares until you've unlocked him and then he becomes less scary and whole lot more useful. 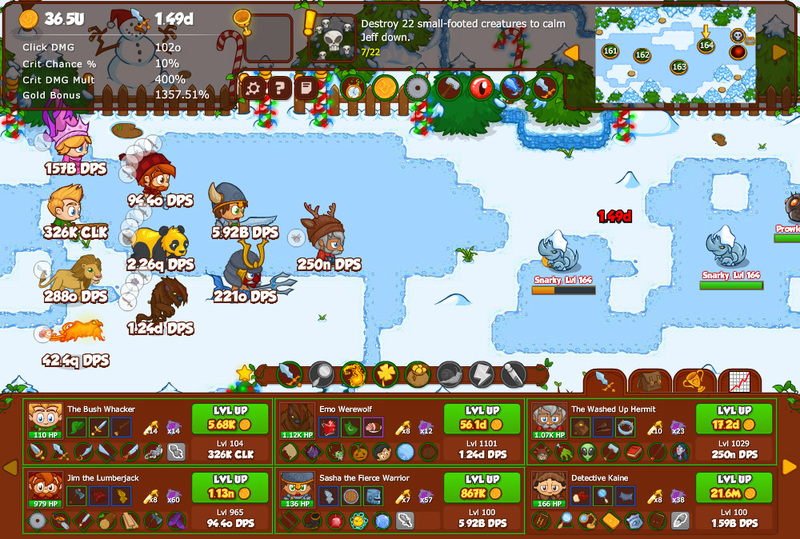 At level 100, he unlocks Royal Past ability where it increases his DPS +150% but minus 25% for every Royal Crusader in the formation (0% with six Royal Crusaders in the formation). At level 400 his Receptive Audience ability increases his DPS +200% when adjacent to at least two Humans. 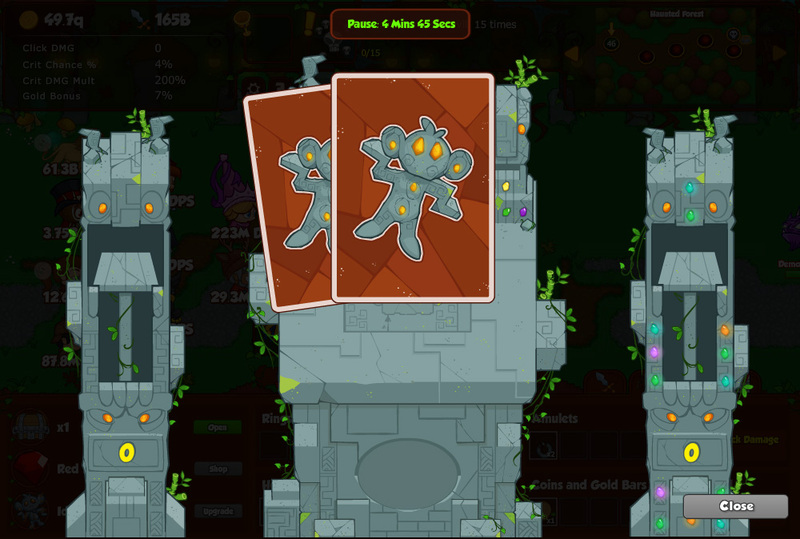 After you've completed the first new Tier Two objectives for Snickette and Squiggles, there are three more objectives to conquer (after a few more drinks, naturally). 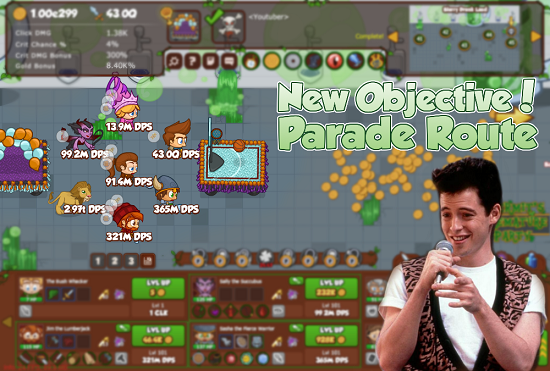 New Tier Two Objective: Party Animals... er, Humans. 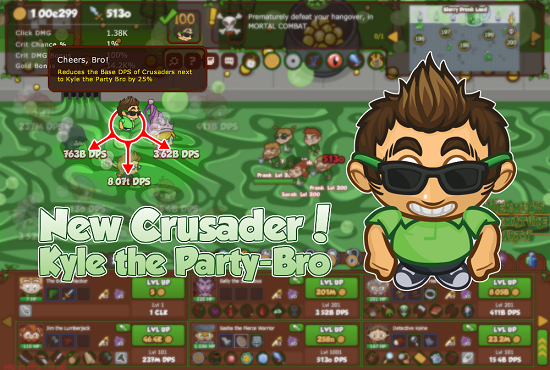 In Party Animals... er, Humans only Human and Leprechaun Crusaders are available all the way to area 400. New Tier Two Objective: Drunk Too Much. In the objective, Drunk Too Much the Crusaders are starting to feel worse for wear. 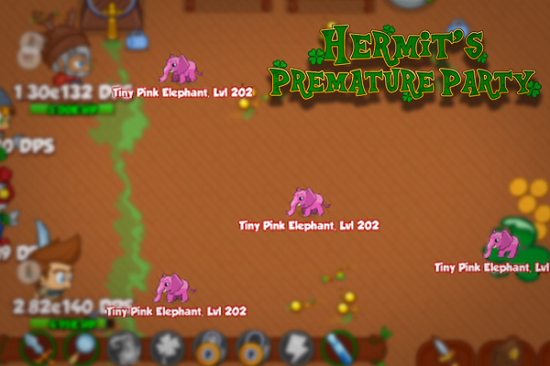 Pink Elephants appear but can't be killed (and don't block spawns, by the way). You must reach area 450 before you can get some water to sober up a bit. New Tier Two Objective: Wicked Hangover. The final new Tier Two objective is Wicked Hangover. 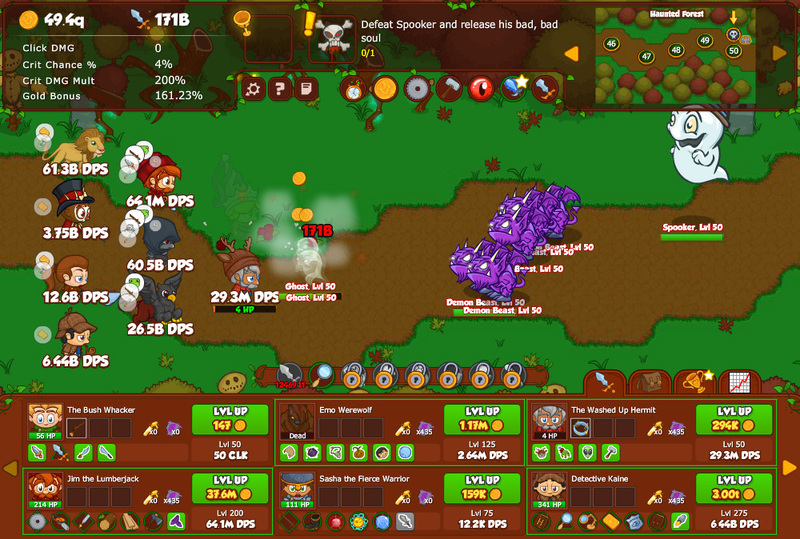 Two formation slots have their formation abilities and DPS disabled; the two affected slots change every ten areas! 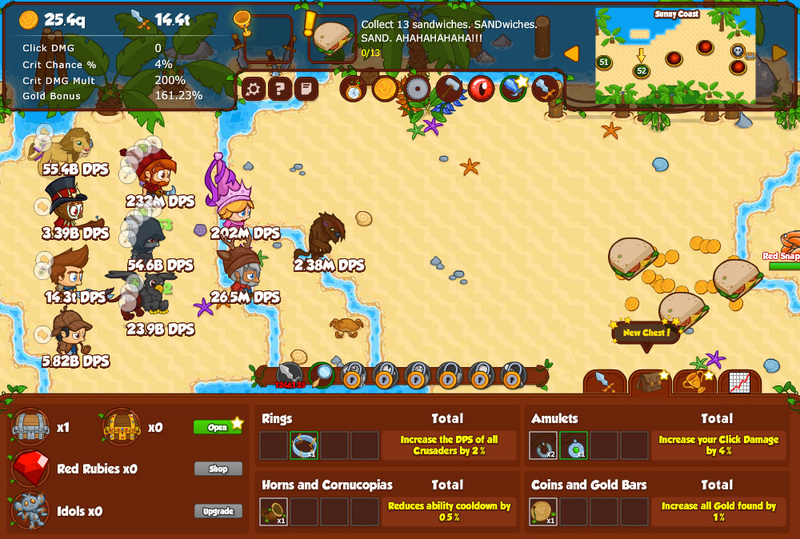 Equipment for both Tier 1 and 2 Crusaders can be found in St. Patrick's Jeweled Chests. However, gear for the Tier 2 Crusaders will only appear once you've unlocked the respective Crusader. You'll have until March 14th at Noon PST to complete the event. Cheers!